On February 15, 2012 library.nu was shut down since publishers accused the site of piracy. In his article The disappearing virtual library Christopher Kelty says that the website had offered ‘between 400,000 and a million digital books for free’, and if we believe him they were ‘not just any books – not romance novels or the latest best-sellers – but scholarly books’ serving ‘those who wish to learn, but can’t afford to pay for textbooks’. Who were the ‘would-be scholars’ that thanks to library.nu had the possibility to study? Kelty notices that there are no accurate numbers known but that, based on tweets mentioning library.nu and comments on blog posts, ‘the main users of the site are the global middle class’. According to Kelty ‘they live all over the world, but especially in Latin and South America, in China, in Eastern Europe, in Africa and in India’. These people ‘pirate to learn’ as because of several reasons, varying from country to country, they do not have access to the literature they need. After reading Kelty’s article about these ‘would-be scholars’ that are basically forced to ‘pirate to learn’ I started asking myself why in that sense the more fortunate, western people pirate. I am curious to see how people here justify their reasons for illegally copying intellectual property, and more specifically: books. Understanding better why people pirate, the book industry is able to more accurately asses its customer’s needs and wishes. Thought #11 of Chuck Wendig’s blog 25 Thoughts on Book Piracy says: ‘pirates have their reasons (even if many of them are crappy)’. As we have seen one of the more legitimate reasons to pirate is the lack of access to literature, and therefore to knowledge, in the above mentioned countries. In Thought #12, ‘a reader may be driven to book piracy because that reader lacks access to the book in some way’, Wendig also addresses the problem of the (non) availability of e-books through library services. Thought #13, ‘sometimes it’s about the cost’, is certainly a big one. Wendig says that ‘a customer has very little interest in why a price is too high – they only believe […] that it is’. True. Why a book or e-book (!) costs what it costs remains to be a question mark for most readers. Not being aware of the whole ‘ecosystem of people’ that hides behind a book and its overheads, the choice for an illegal copy is easily made. In Thought #14, ‘sometimes people are just dicks’, Wendig speaks about the ‘I want it so I am going to take it’ mentality. 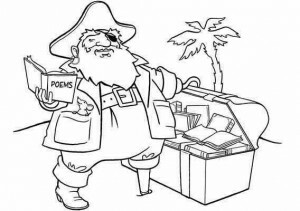 He states that book piracy is ‘not driven by evil, but rather, [by] selfishness’. Wendig explains that this selfishness comes down to the idea that people act upon what they want without considering the needs of others. This is also emphasized by Rob. W. Hart who starts his column Top 10 Reasons People Use to Justify Pirating Digital Content (And Why They’re Wrong) saying that ‘torrenting is easy and the chance of getting caught is low [and that] saving money is fun’. 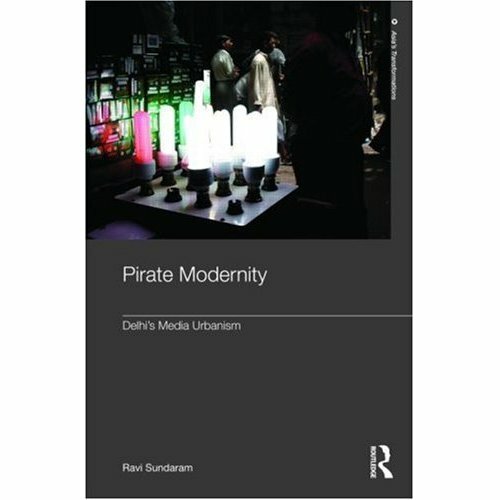 In the western world we do not necessarily have to ‘pirate to learn’, and as Lawrence Liang states ‘piracy is associated more with the world of pleasure and desire than with meeting “pure needs” (2010: 367)’. This ‘commercial piracy’ is a big threat for the book industry and since I do not think it is possible to completely stop it, I believe that they could try harder to seduce the willing-to-buy readers to actually buy (digital) books instead of illegally copying them. Especially when it comes down to fiction. Some publishing houses are already experimenting with new ways of trying to make it more interesting for customers to buy legal versions of their books. Dutch publishing house Atlas Contact presented the latest novel by Hanna Bervoets, Alles wat er was, as both a paper version (€19,95) and an e-book (€14,99), but also – and that’s a first in Dutch fiction land – a combination package: paper version + coupon with a code to download the e-book (€24,95). After having explored some of the reasons why people pirate, we can start thinking of ways to fight piracy. One of these ways is to make legitimate copies more interesting than the illegitimate ones. Since not all publishers are the same and are affected by piracy in different ways and to different extents, they ask for different solutions. To content Kelty and ‘would-be students’ all over the globe we could think of making all scientific literature open access. When it comes to fiction we should keep in mind something Fuller said when speaking to Michael Dockray, that the book ‘has it’s own quality as a form of media’. It is up to the book industry to bring out this ‘own quality’ of the book, make the legitimate versions more attractive than the illegitimate ones and seduce the potential pirate to become a book buyer.